What makes your neighborhood a historic gem? BNHA is launching a small grants program this fall to support Baltimore’s historic neighborhoods. The mission is to connect residents and visitors to the stories and history that make each neighborhood unique. The goal is to collect information on historic, cultural, and natural resources to preserve and promote the history of the neighborhoods within the heritage area. In 2017 and continuing this year, BNHA’s Urban Steward Imani Hayes engaged with heritage area neighborhoods to identify historically significant sites, parks, and programs with high heritage tourism value. To gather community input, Imani distributed a survey to neighborhoods, and organizations with 50 or more unique survey responses received a $250 micro-grant for a neighborhood project. Neighborhood and community projects will be announced in July 2018. Stay tuned for the next grant round that will roll out this fall! Tell us what makes your neighborhood a special place! 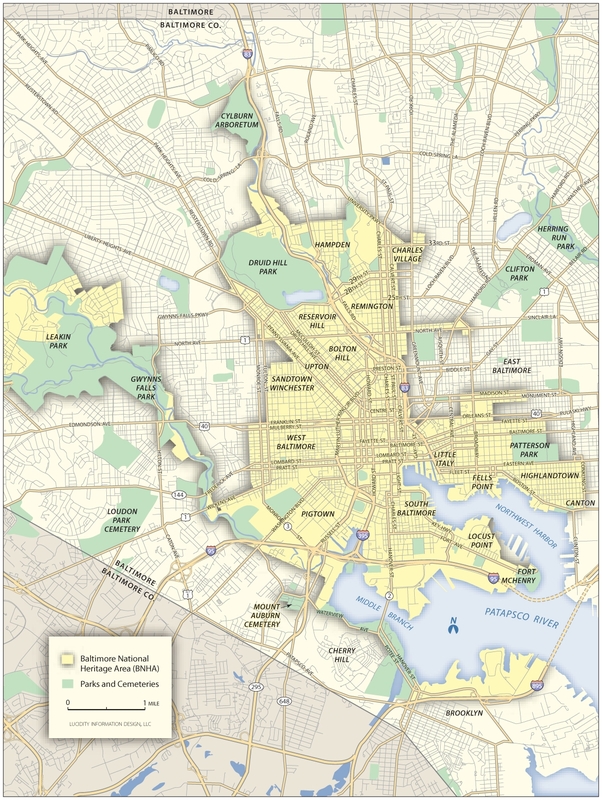 Click for an online survey on Baltimore's neighborhoods. Note that neighborhoods must be located within the BNHA boundaries (boundary map below).